The Commonwealth of Nations, widely known as the ‘Commonwealth’ and formerly called the British Commonwealth, is an inter-governmental organisation of 54 independent member states of which Sri Lanka is one. The member states cooperate within a framework of common values and goals as outlined 40 years ago. These include the promotion of democracy, human rights, good governance, the rule of law, individual liberty, egalitarianism, free trade, multilateralism and world peace. The Commonwealth is an inter-governmental organisation through which countries with diverse social, political and economic backgrounds are regarded as equal in status. Every two years, Commonwealth leaders meet at the Commonwealth Heads of Government Meeting (CHOGM) to discuss global and Commonwealth issues and to agree on collective policies and initiatives. The next CHOCG will be held in Perth, Western Australia, from October 28 to 30, 2011. Today’s Wiz Quiz starts off with a few questions on this topic. 1. Australia last hosted a Commonwealth Heads of Government Meeting (CHOGM) in March 2002, when it was conducted by then Prime Minister John Howard. It was originally scheduled to have been hosted in Brisbane in October 2001, but was postponed because of the September 11 terrorist attacks in the United States. Eventually, where in Australia was the meeting held, where 51 (out of 54) Commonwealth member countries were represented, 35 of them by heads of state or government? 2. Every two years, Commonwealth leaders meet in a member country to discuss global and Commonwealth issues, and to agree on collective policies and initiatives. There has been a meeting of Commonwealth leaders since 1949. In which year was the current name, ‘Commonwealth Heads of Government Meeting’ (CHOGM) adopted to describe this gathering of Presidents and Prime Ministers? 3. To be a member of the Commonwealth, a state must have a direct constitutional link to an existing member state which in most cases means having been a former British colony. But some have links to other countries, either exclusively or more directly (e.g. Samoa to New Zealand, Papua New Guinea to Australia, and Namibia to South Africa). The first member state to be admitted without having any constitutional link to the British Empire or a Commonwealth member was a former Portuguese colony. What is this state, admitted in 1995 following its first democratic elections? 4. German dramatist and poet Bertolt Brecht (1898 - 1956) wrote the play Mother Courage and Her Children in 1939 with significant contributions from actress and writer Margarete Steffin. Some critics consider Mother Courage to be the greatest play of the 20th century, and perhaps also the greatest anti-war play of all time. It is one of nine plays that Brecht wrote in an attempt to counter the rise of Fascism and Nazism in his homeland. What specific historical event triggered the writing of Mother Courage? 5. The Nobel Prize for Literature 2011 was awarded to a European poet named Tomas Tranströmer. The citation said the award was “because, through his condensed, translucent images, he gives us fresh access to reality”. What country is he a national of? 6. ‘Evita’ is a musical with music by Andrew Lloyd Webber and lyrics by Tim Rice. It was first staged in London’s West End in 1978, and on Broadway in New York the following year. In 1996, film of the musical was made starring Madonna and Antonio Banderas. The story of Evita is based on the life of a former first lady of Argentina and herself a leading political activist who lived from 1919 to 1952 and left deep impressions in both the culture and society of her country. Who is she? 7. The Torino Scale is used for categorizing the impact hazard associated with near-Earth objects (NEOs) such as asteroids and comets. It uses a scale from 0 to 10. A zero indicates an object has a negligibly small chance of colliding with the Earth, or is too small to penetrate the Earth’s atmosphere intact. A 10 indicates that a collision is certain, and the impacting object is large enough to cause a global disaster. The Torino Scale is a tool for astronomers and the public to assess the seriousness of collision predictions, by combining probability statistics and known kinetic damage potentials into a single threat value. Name the professor of Planetary Sciences at the Massachusetts Institute of Technology (MIT) in the US who first proposed this scale in 1995. 8. The Chilean poet, diplomat and politician Ricardo Neftali Reyes Basoalto (1904 - 1973), better known as Pablo Neruda, was once based in Ceylon as the Chilean consul. 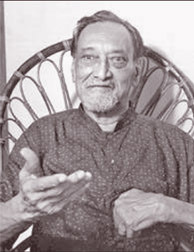 At that time, he admired a leading Ceylonese photographer, pianist, art critic and cinematographer, saying this person “was the central figure of a cultural life torn between the death rattles of the Empire and a human appraisal of the untapped values of Ceylon.” Whom did Neruda praise with these words? 9. The capital of United States of America Washington D.C. is named after the first President of that country, George Washington. What is the only other capital city in the world that has been named after a US President? 10. Tech maverick Steve Jobs, who was given up for adoption by his biological parents, later discovered that he had a younger sister by the same parents. She became an accomplished novelist. Jobs met her for the first time when he was 27, and they later became close. She used the theme of missing fathers for her critically acclaimed novels “Anywhere But Here” and “The Lost Father.” She also wrote a novel inspired by her famous brother, titled “A Regular Guy,” which was about an emotionally disconnected, fruit-loving Silicon Valley biotech entrepreneur named Tom Owens, “a guy in jeans, barefoot in the boardroom.” Who is this author? 11. Players from New Zealand’s indigenous community, known as the Maoris, have represented New Zealand rugby team frequently in recent decades. But New Zealand cricket team did not have a single Maori player until this wicket keeper from Auckland made his debut for New Zealand in early 1990s. Name this first Maori player who represented New Zealand in international cricket (appeared in 78 Test matches and 179 One Day Internationals). 12. James J Braddock, known as ‘The Cinderella Man’, scored one of boxing’s greatest upsets when he defeated then heavyweight champion Max Bear by decision in June 1935. In his first title defense two years later, he was knocked-out by the sensational boxer nicknamed the “Brown Bomber”. Who was he? 13. Titus Thotawatte, who died on October 15,2011 aged 82, was hailed as the finest editor in the six decades long history of the Lankan cinema. Having excelled in the craft of making movies in the 1960s and 1970s, he successfully switched to television in the 1980s and 1990s. There, he again blazed his own trail in Sri Lanka’s nascent television industry. In all, he edited a total of 25 feature films, nine of which he also directed. What was the first feature film he edited in 1956, which is considered a landmark and turning point in the history of Sinhala cinema? 14. 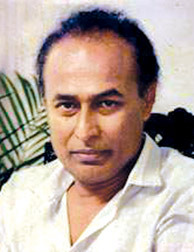 Titus Thotawatte directed 9 Sinhala films between 1965 and 1979. His debut film as director was about troubled youth encountering the pressures of city life and villainous characters. 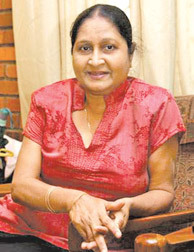 It starred Gamini Fonseka in the villain’s role, along with Anula Karunatillake, and while being a commercial film, was acclaimed for breaking free from the Indian mould of action films that heavily influenced Lankan cinema at the time. What was the film’s title? 15. In the popular consciousness in Sri Lanka, Titus Thotawatte will be remembered the most for his last feature film ‘Handaya’, which he both directed and edited and first released in 1979. Ostensibly labelled as a children’s film, it was intended for everyone “from 8 to 80”. 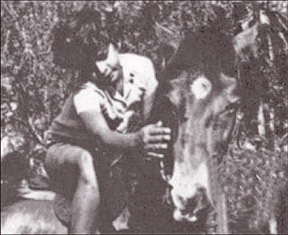 Handaya swept the local film awards at the Saravaviya and OCIC film awards for 1979/1980, and also won the Grand Prix at the International Children and Youth Film Festival in Giffoni, Italy, in 1980. Handaya was an upbeat story of a group of city children and what kind of animal who bore that name?